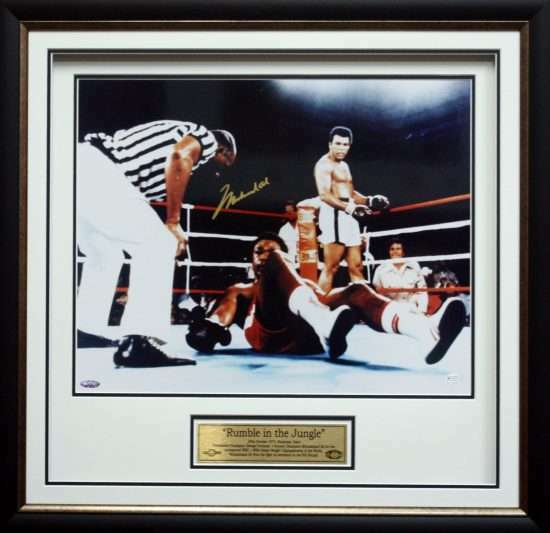 Muhammad Ali hand signed 16 x 20 Rumble in the Jungle coloured photograph comes beautifully framed. 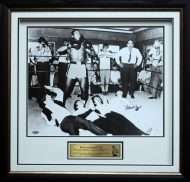 The photograph has been hand signed with gold paint pen at a private signing on the 17/9/2000. Comes authenticated by Online Authentics # OA-0000689.